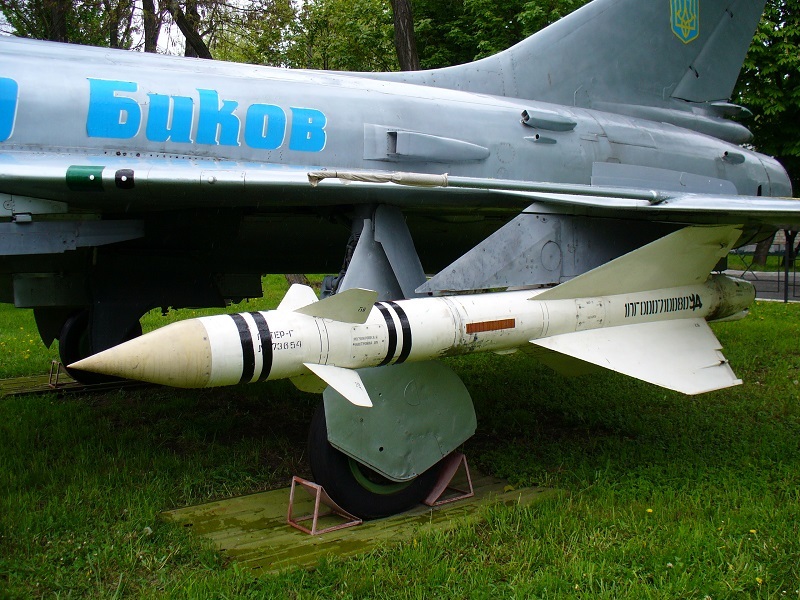 The Sukhoi Su-15, NATO codename “Flagon,” was a high-speed interceptor dedicated to guarding the long borders of the Soviet Union from nuclear bombers, cruise missiles and snooping spy planes. Unlike the famous MiG-21 or Su-27, the Su-15 served exclusively in 29 regiments of the Soviet PVO Air Defense Force and was never exported abroad. But despite its obscure role as aerial sentry of the Soviet Union, the Flagon was involved in a series of ill-fated and tragic encounters, one of which would result in one of the tenser confrontations of the Cold War. The Su-15 was a successor to earlier Su-9 and Su-11 Fishpot interceptors, both of which lacked the range and powerful radar to adequately counter the U.S. Air Force’s B-52 bombers. The delta-winged Flagon had a long and elegantly simple airframe. Its two side-mounted Tumansky R-11F turbojets allowed it fly at over twice the speed of sound while fully loaded, and later models could climb 1,000 meters in just four and a half seconds. Its RP-22 Oryol radar housed in the nose was a major improvement over the crude radar and beam-riding missiles of the Su-9. On the downside, the Su-15’s range was merely adequate at around 800 miles. Its nearly 20-meter-long airframe handled poorly at low altitudes, with takeoff and landing exceeding 200 miles per hour. This posed such a problem that later production aircraft featured modified cranked wings to improve takeoff and landing performance at a slight cost to speed. Despite these deficiencies, the Flagon’s controls were otherwise relatively responsive and the plane was reportedly well-liked by its pilots. The early model Flagon’s armament comprised just two large R-8 air-to-air missiles (NATO code name AA-3 Anab), usually one with a radar seeker and the other heat-seeking, both of which would be fired at the same target according to Soviet doctrine. The warplane lacked backup short-range missiles or cannons, as the Soviet designers reasoned the missiles were unlikely to miss the large, slow B-52s that were its primary intended target. Faster potential intruders, such as the F-111 or SR-71 Blackbird, would be the preserve of Mach 3 MiG-25 interceptors once they entered service. Su-15 pilots relied heavily on ground controllers to actually find anything due to the short range of their onboard radars. In fact, under Soviet doctrine, Flagon pilots kept their radars off while ground controllers vectored them in, only turning them on to acquire a weapons lock. Though short ranged, the Su-15’s Oryol radar was designed to “burn through” NATO radar jammers. The first production Su-15s began operational testing with the 54th Fighter Regiment stationed near Moscow in the fall of 1967. Just a few months later, one of the new interceptors may have inadvertently led to an accidental death mourned across the world. On March 27, 1968, Soviet cosmonaut Yuri Gagarin—the first man to travel in outer space—flew on a training flight near Moscow with instructor Vladimir Seryogin in a two-seat MiG-15UTI. At around 2,000 feet the MiG abruptly entered a spin and smashed into the ground, killing both aviators. The cause of Gagarin’s death remained controversial for decades, with poor maintenance, rainy weather, oxygen system breakdowns, irresponsible flying, overloading due to the fuel tanks and bird strikes variously offered as an explanation. However, in 2013, fellow cosmonaut Alexey Leonov revealed that a hot rodding Su-15 test pilot had dived from his authorized altitude of over 30,000 feet above the training area. The interceptor’s afterburners trailed a fiery plume behind it as it broke the sound barrier while passing within 20 meters of Gagarin. The backwash from the Flagon’s passage flipped Gagarin’s MiG into a fatal spin with too little altitude to recover. Leonov had actually been onboard a nearby helicopter that day for parachute training and heard both the sonic boom and the explosion from Gagarin’s MiG crashing. The Flagon pilot was, apparently, unaware of the MiG-15’s presence. But even if the pilot had turned on his Oryol radar, it would have struggled to detect Gagarin’s MiG-15 because it was not capable of tracking and targeting through ground clutter, known as a lookdown/shoot-down capability. This turned out to be a serious shortcoming, as U.S. Air Force doctrine had switched to low-altitude attacks by the 1970s. Meanwhile, instead of high-flying nuclear bombers, the Su-15 had to play traffic cop facing various low-altitude intruders. The first Su-15 intercept occurred on Sept. 11, 1970 when a Flagon forced down a World War II-era C-47 Dakota transport—piloted by a defector fleeing Greece’s military junta. 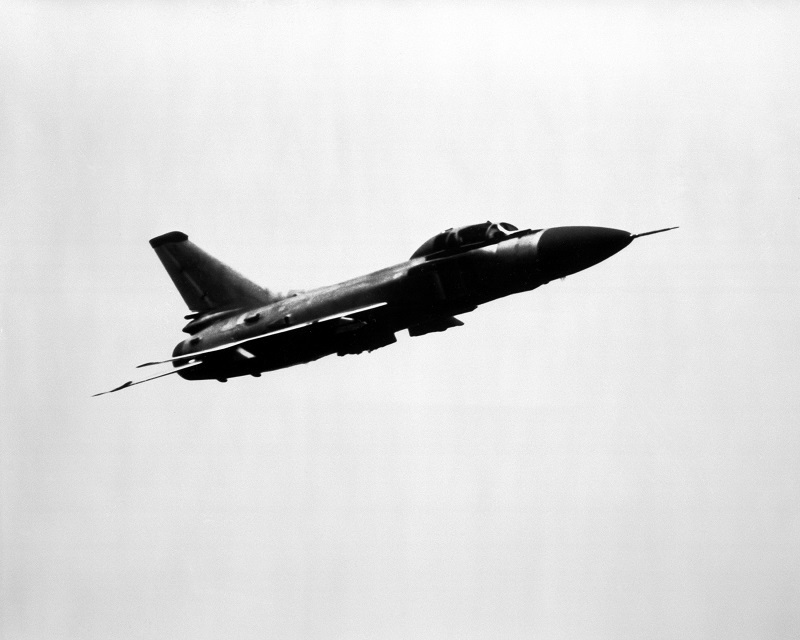 Turkish F-100 Super Sabres also darted into Soviet airspace several times during the 1970s, but the Flagons dispatched to chase them repeatedly failed to corner the supersonic fighters. Su-15s also struggled to hunt down low-flying civilian aircraft used by the Iranian air force in a U.S.-sponsored espionage program. For example, in 1979 four Su-15s proved unable to locate a low-flying Cessna 185 detected by ground-based radar. However, their mere presence overhead so alarmed the stunned pilot that he landed his plane on an Armenian highway and turned himself in. By that time, the PVO began phasing in the new Su-15TM variant to remedy some of Flagon’s shortcomings. Known as the Flagon-F, it featured a redesigned double delta wing for better low-altitude performance, new R-13 turbojets boosting range and acceleration, and two additional weapon hardpoints which could carry short-range R-60 heat-seeking missiles or 23-millimeter twin-barrel cannon pods. The Flagon-F also had a new Typhoon-M radar that could track targets more than 40 miles away at high altitude, or nine miles at low altitude. Even the datalink was upgraded so that the ground controllers could remotely pilot the aircraft and even release weapons without requiring input from the pilot. Despite these improvements, the Su-15 chalked up its major “successes” tracking the sort of large aerial targets it had been intended to shoot down. These encounters sometimes resulted in mishaps. On April 2, 1976, the Su-15 of Lt. Strizhak was shadowing a twin-engine P2V Neptune maritime patrol plane of the Japanese Self-Defense Forces flying at low altitude off of Sakhalin Island when he accidentally launched an R-8 missile at it. Fortunately, Strizhak jinked his fighter at the last moment, and the weapon rocketed past the Neptune’s starboard wing and exploded a safe distance away. Korean Air Flight 902 had departed from Paris on April 20, bound for Seoul with refueling in Anchorage, Alaska. However, the crew miscalculated the difference between magnetic and true north and made a nearly 135 degree turn towards Murmansk, Russia. Flying over empty stretches of ocean, and lacking INS or GPS navigation systems, Capt. Kim Chang-ky was clueless to the fact that he was flying hundreds of miles opposite of the intended course. The PVO detected the airliner 250 miles away from Soviet airspace and initially assumed it was a friendly plane with a malfunctioning IFF system. The 707 penetrated some distance over the Russian Kola peninsula before it was finally intercepted by an Su-15TM piloted by Capt. Alexander Bosov, who first identified the airliner as an American RC-135, a signals intelligence plane based on the 707 airframe. However, he then reported to his controllers that he could see Asian characters along the fuselage and a red stork insignia. Kim could see the Soviet fighter, and turned on his landing lights in acknowledgment. Contrary to Soviet claims that he made no attempt to communicate, Finnish air control recordings show he tried to make radio contact with the Su-15 three times. Bosov believed the aircraft was civilian, but the commanders of the 21stPVO Corps ordered him to pull the trigger regardless. Bosov complied, launching two small R-60 heat-seeking missiles at the airliner. The first missed—and the second struck the 707’s left wing. The impact, combined with the missile’s six-pound warhead, sufficed to sheer off four meters of the wing and disabled one of the jet engines. Shrapnel sprayed across the Boeing’s fuselage, depressurizing the passenger cabin and killing two of the 109 passengers and crew and wounding 13. 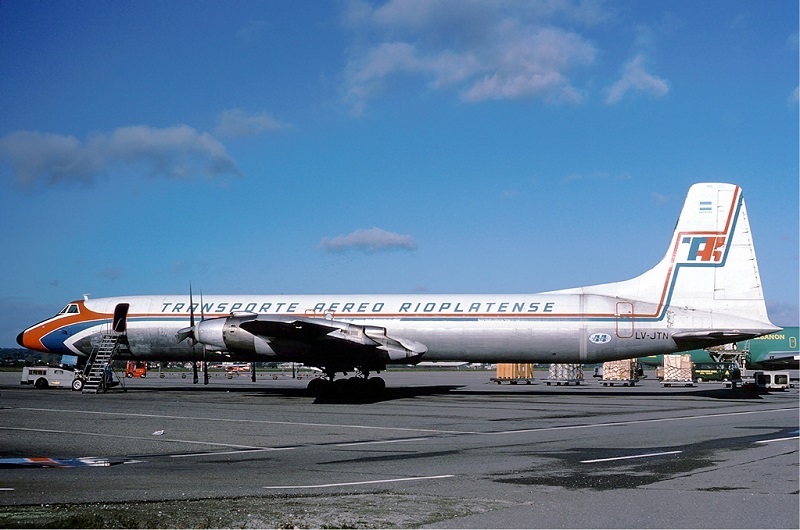 Following the impact, the 707 plunged 30,000 feet and vanished from Soviet radar. Bosov returned to base, low on fuel, and the PVO launched another fighter after detecting a new radar contact. However, this was simply the severed piece of the wing tumbling through the air. The second Soviet pilot discovered that Flight 902 had actually survived the missile attack. The wounded airliner remained airborne another 40 minutes attempting to find a safe landing space. In the end, Kim successfully crash landed his 707 on the frozen Korpiyarvi Lake. Soviet helicopters swiftly picked up the survivors and repatriated them to the United States two days later, along with a $100,000 bill for lodging laid at the door of Korean Air Lines. The Flagon’s armament also exhibited shortcomings in a second attack three years later when the Su-15 of Capt. Valentin Kulyapin intercepted a CL-44 transport of the Argentine Airline Transporte Aereo Rioplatense that had strayed a short distance into Soviet airspace over Azerbaijan. The 41-meter-long, four-engine propeller plane was returning from a smuggling run to Iran, where it had delivered Israeli weapons. However, the crew had drifted over the wrong side of the the Turkish-Soviet border en route to Cyprus. The clunky transport plane maneuvered to avoid Kulyapin’s interceptor, eventually slowing down to below the Su-15’s stall speed. Kulyapin saw this as proof of ill intent, and grew determined to destroy the cargo plane before it could exit Soviet airspace. However, he was too close to use his air-to-air missiles, which had a one-mile minimum range. According to his account, he therefore decided on his own initiative to ram his interceptor into the cargo plane before it could cross back over the border to safety. Kulyapin then flew up to the transport’s tail and bumped its stabilizer with the nose of his plane, the impact causing his canopy to shatter in a blizzard of glass. Then he butted his plane a second time into the lumbering transport. This time, the 19-ton fighter sliced through the CL-44’s right stabilizer. Kulyapin successfully ejected from his stricken plane, while the CL-44 smashed into Armenian soil, killing the three Argentinians and one Englishman aboard. The Soviet Union celebrated Kulyapin as a hero and awarded him the Order of the Red Banner for the ramming attack. Soviet pilots had made extensive use of ramming attacks during World War II, and Soviet MiG pilot Gennady Eliseev died ramming an Iranian-American RF-4 spy flight in 1973. However, some analysts speculate that the 1981 collision might have been accidental, and that Kulyapin had pulled a Gimli.